Our e-podiums are the perfect addition to schools, colleges, universities, auditoriums, or any location where presentations are given. It provide’s a safe and convenient means to store and use a wide range of audio/visual equipment. 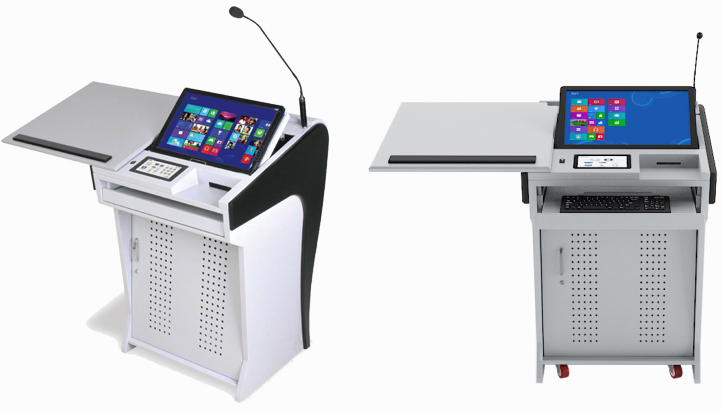 Our e-Podium delivers unmatched Interactivity among various digital devices with its slim design digital podium which allows you to communicate with your audiences more efficiently, it provides great productivity benefits due to its modular form factor, achieving easy mobility of the device. • Available to interlock with other equipment in classroom and control easily considering convenience of teacher and user. • On/Off all interlocked equipment in classroom by using one begin-end lecture button in Digital Podium. • Fast and accurate system equipped 19 inch Tablet monitor and implement same feeling of conventional writing on the blackboard. • Available to adjust high tone and low tone by internal digital amp. • Used Goose neck microphone and provide voice lecture. • Operate as Touch and writing on the board mode. • Available to save contents written on computer screen as image file. 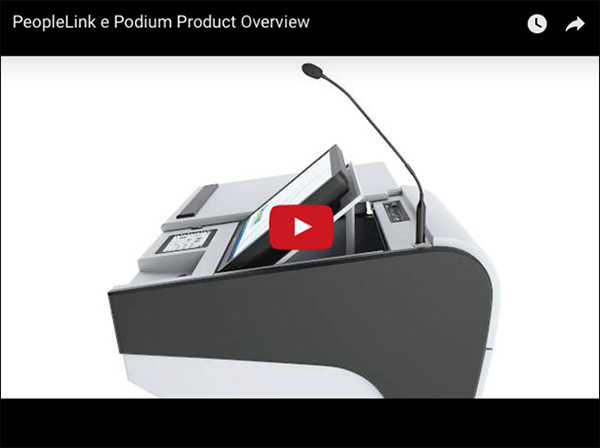 • Explore our e-podium video and discover how we can help you elevate the effectiveness of your lectures or presentations.